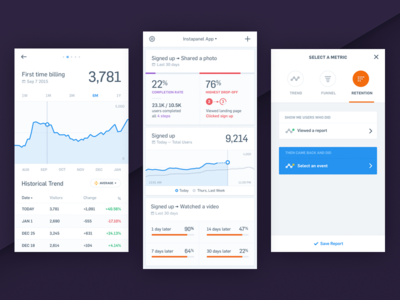 Mixpanel Benchmark Report Microsite — We are excited to share progress on a microsite that focuses on key industry benchmark reports. These help companies understand how they measure up against industry competitors utilizing over 50 million data points. Don't forget to check out the full presentation → Hope you dig it! Cheers! Aquarium Design & Installation | Nautical Theme — Here is a concept for an aquarium design team in Los Angeles. They have created some of the coolest residential aquariums I have seen. This motion test all that I could fit into the size limit for the shot, but there might be a few video loops in the header section featuring a fish-eye view into their world. Take a peek at the full page → Hit me up with your thoughts! 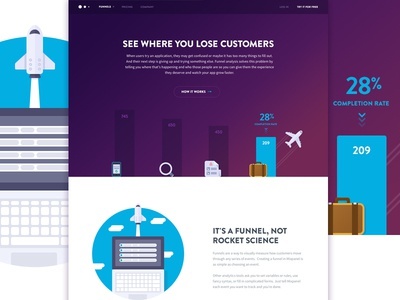 TV Advertising Platform Landing Page — Hey folks! 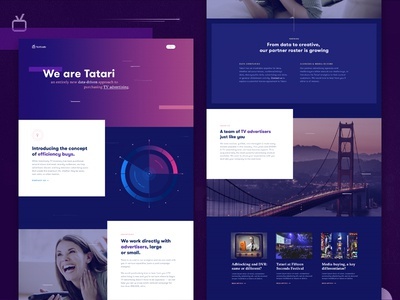 Here is a landing page for Tatari, a new data-driven platform for purchasing tv advertising. 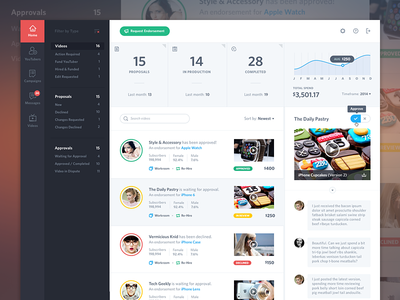 I'll share some UI of the platform soon. Let me know what you think. Cheers! 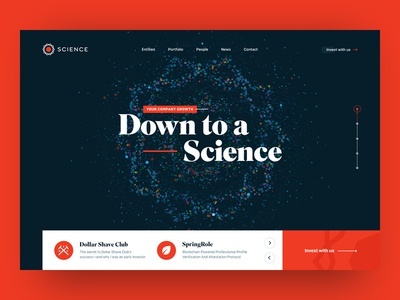 Landing Page and Motion Design — Here are a couple of fresh cuts from the Famebit redesign that I worked on a few months ago. The site will go live soon. We took an over-the-top 80s approach to the design direction with some loud typography, vibrant colors, angular shapes and heavy doses Pop Rocks candy. It was a ton of fun iterating on this one! Big thanks to my man, @Christophe Zidler for help on the motion! Website Design for Writer — Hey folks! My wife is putting the finishing touches on her first novel, Raindrop Parade. 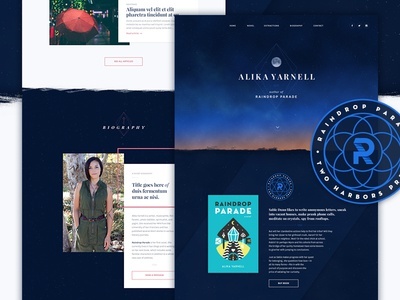 I am in the process of bringing the design of her new website to life. Typography is set in Playfair Display and National. The book cover type is Neutra Display. We recently worked with the talented @Daniel Haire on the book cover illustration. Hope you enjoy the work! 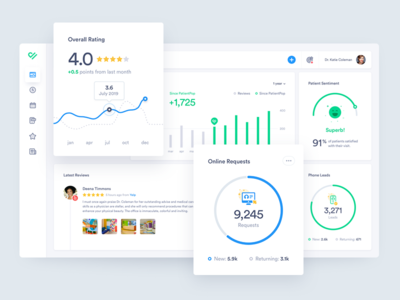 Product Dashboard, Activity Feed UI/UX — Here is a product dashboard that I previously worked on that enables brands to connect with content creators for reviews, tutorials and the ever-lovable product placements. I would love to know what you think. Hit me up! 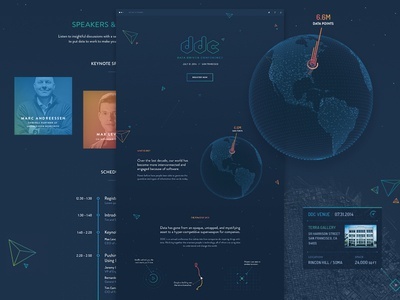 DDC Landing Page — Hey folks, I am excited to share progress on the landing page for this year's Data Driven Conference. We are polishing up the implementation, which will be completed shortly. Take a look at the attachment for a preview of the entire page. If you're interested in joining us, you can register here. 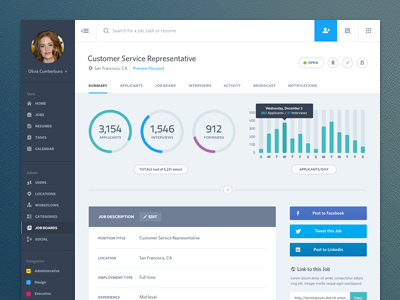 Follow the @Mixpanel team account to stay in touch with our projects. 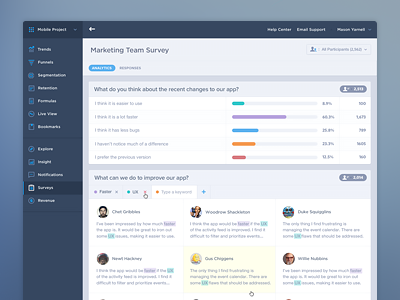 Survey Analytics UI/UX — Hello everyone, Here is progress on our ongoing product design evolution. This screen is for the new feature under Survey Analytics along with the new navigation and header design. We'd love to hear any thoughts you might have! Props go to Mr. @Dave Ruiz for collaborating with me on the analytics. Team work ahoy! 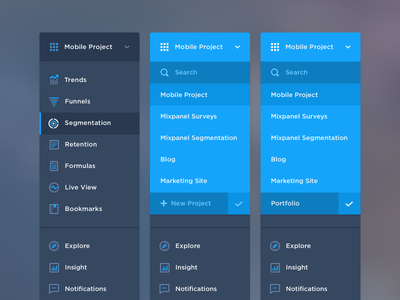 Mixpanel Navigation Menu Icons/UI — Hello everyone, Here is a peek at the new navigation that we're working on @Mixpanel. 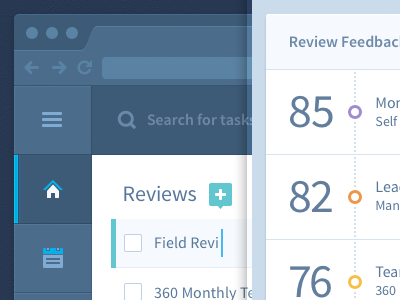 We've refreshed the icons and updated the colors to provide better contrast with the main content. I'm putting together a document that shows evolution the iconography and navigation that I'll share with you here soon. 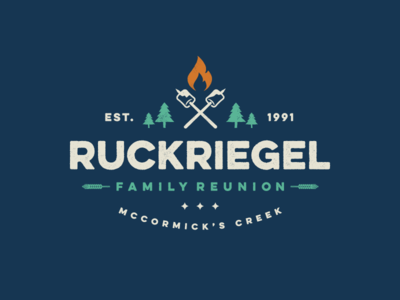 Take a look, we would love to hear your thoughts! 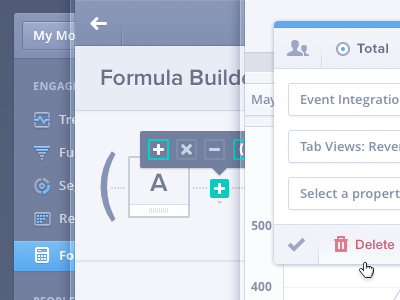 Mixpanel Formulas UI/UX — Here is design progress on the formula builder that we've been cooking up at Mixpanel. We've been thinking through how to make the interactions of building a complex formula simple and intuitive. Check out the 2 views in the attachment to see the real pixels and let us know what you think!